Throughout the ages, languages continue to adapt and change. English, being a relatively new language, is a nice example of that. Though the English vocabulary is continually evolving, the system of punctuation has remained constant for the most part. This means that grammar books from 1895 are still applicable today. 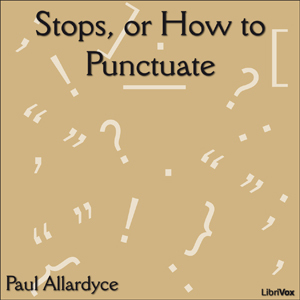 Therefore, if the following sentence looks correct to you, perhaps listening to Paul Allardyce's "Stops, or How to Punctuate" would be a good idea.